The fate of the Governor of Lagos State, Akinwunmi Ambode, still hung in the balance on Friday as he failed to secure the nod of APC national leader, Asiwaju Bola Tinubu, for his second term bid in 2019. Tinubu, it was learnt on Friday, refused to intervene in the intra-party crisis that has pitted Ambode against the leadership of the party in the state and members of the Conference 57. Conference 57 is a forum of all the council chairmen in the state. 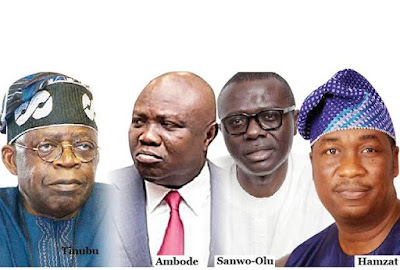 It was gathered that discussion among members of the Mandate Movement of the state APC, headed by Tinubu, did not yield any result that favoured Ambode. The party leaders are insisting that Ambode should not be given a second term ticket because he had neglected party members since he was inaugurated in 2015. The leadership of the Mandate Movement, it was learnt, insisted that they would prefer Babajide Sanwo-Olu as the candidate of the party for the 2019 governorship election. Sources close to the leadership said the group had rejected all interventions made by Ambode and his supporters to convince the Mandate Movement. The leadership of the Mandate Movement of the APC decides who gets what in the state. 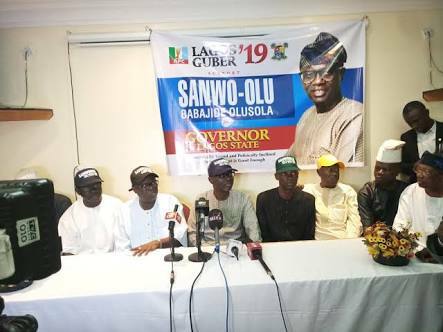 To give a fillip to their support for Sanwo-Olu, they attended a press conference the governorship aspirant addressed in Lagos on Friday. 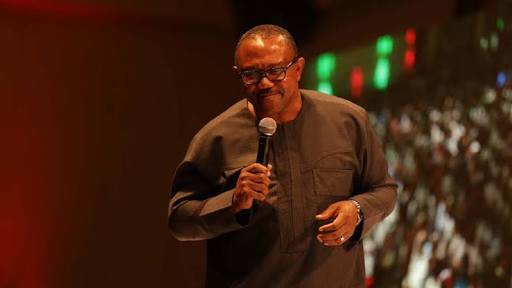 Notable members of the Mandate Movement including their leader, Cardinal James Odunbaku, popularly known as Baba Eto, members of the Conference 57 led by their leader, who is also the Chairman of the Lagos Mainland Local Government, Omolola Essien, attended the event. Shouts of ‘in-coming governor’ rent the air as Sanwo-Olu arrived the venue in a convoy at 3:11pm. Before they allowed him to address the press, they sang the ‘On your mandate, Tinubu, on your mandate, we shall stand,’ anthem amidst jubilation. After this, Sanwo-Olu while addressing the press said Tinubu would not force him or any member willing to contest governorship to jettison the idea. Describing Tinubu as a democrat, the aspirant said the former Lagos governor was always eager to deepen democratic values and allow democracy to rule and thrive. Asked what he would do if Tinubu urged him to drop his governorship ambition, Sanwo-Olu said, “Sometimes, people will say this man (Tinubu) is imposing people and that he is not allowing aspirants to come out and that there is no internal democracy in the party. Sources say Ambode is still hopeful of a settlement, but it’s possible that he may join the ADC or PDP and try his luck so ordinary Lagosians who don’t belong to any godfather’s camp will vote for him. 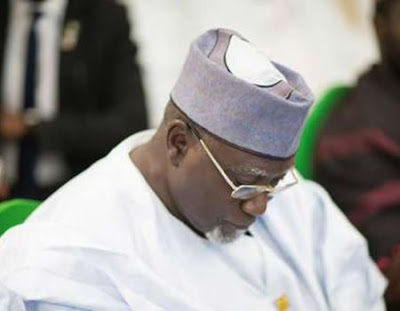 Presidency Plotting The Return Of DSS Boss, Lawal Daura?